TX-1918 is a cell-permeable tyrphostin derivative that inhibits eukaryotic elongation factor-2 kinase (eEF-2K; IC50 = 440 nM). 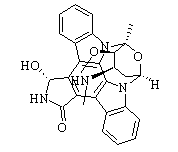 UCN-01 (7-hydroxystaurosporine) acts as an inhibitor against many phosphokinases, such as the serine/threonine kinase AKT, calcium-dependent protein kinase C, and cyclin-dependent kinases. 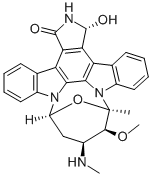 Ingenol-3-angelate is an active ingredient in Euphorbia peplus, acts as a potent PKC modulator, with Kis of 0.3, 0.105, 0.162, 0.376, and 0.171 nM for PKC-α, PKC-β, PKC-γ, PKC-δ, and PKC-ε, respectively, and has antiinflammatory and antitumor activity. 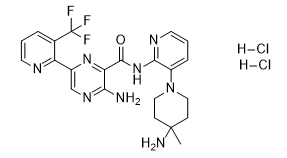 D-erythro-Sphingosine is a inhibitor of protein kinase C and calmodulin-dependent enzymes, but may stimulate mast cells by activation of protein kinase C.